Applications: Direct bolt-on for all 06-11 Civic SI models. Fits both 2-door coupe and 4-door chassis. Note: It is highly recommended to upgrade your rear engine mount to a Hasport rear mount to limit movement. Donut gasket can be replaced by OEM Honda part (18229-PCX-003), you will have to reuse the metal ring. 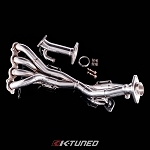 - Fits Civic Si with K20Z3 engine. 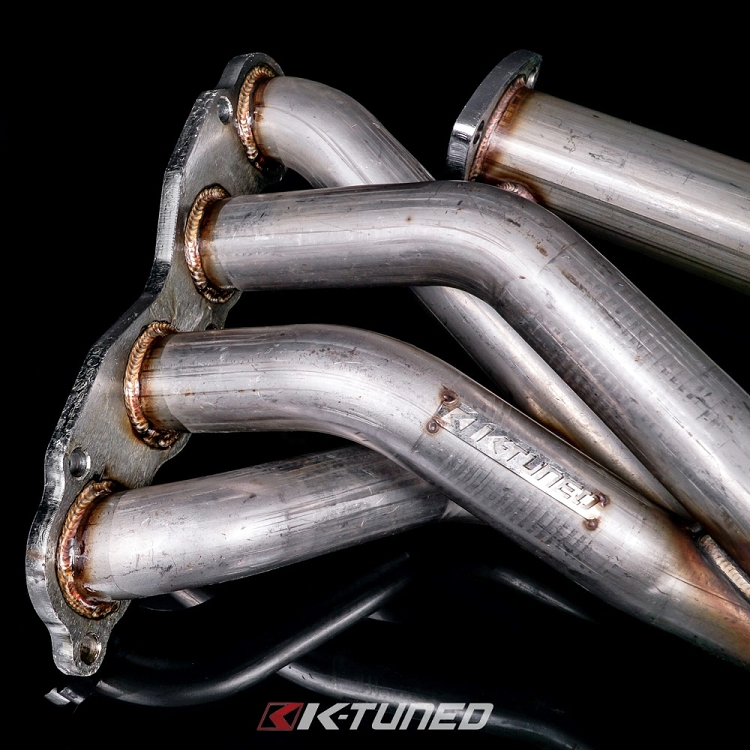 The K-Tuned 8th Gen Civic SI Header was specifically designed to optimize the performance and power output of the K20Z3 engine that is found in all 2 and 4 door SI models. The header was developed using a proven 4-2-1 Tri-Y design that delivers power gains almost everywhere in the power band, not just the higher rpm range. 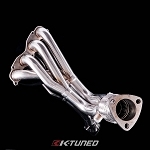 Additional performance is accomplished by using large diameter piping to speed up the flow of exiting exhaust gases. We also use stepped piping and smooth transitions that minimize restriction. Fitment past the subframe and sway bar is perfect with extra clearance available for engine movement. We start with 44mm primaries that smoothly step into 50mm secondaries and finish with a 64mm or 2.5î exit. 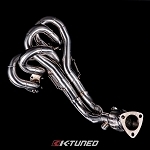 Our 409 Series 8th Gen Civic SI Header is assembled using mandrel bent, 409 series steel tubing and is fully tig welded. 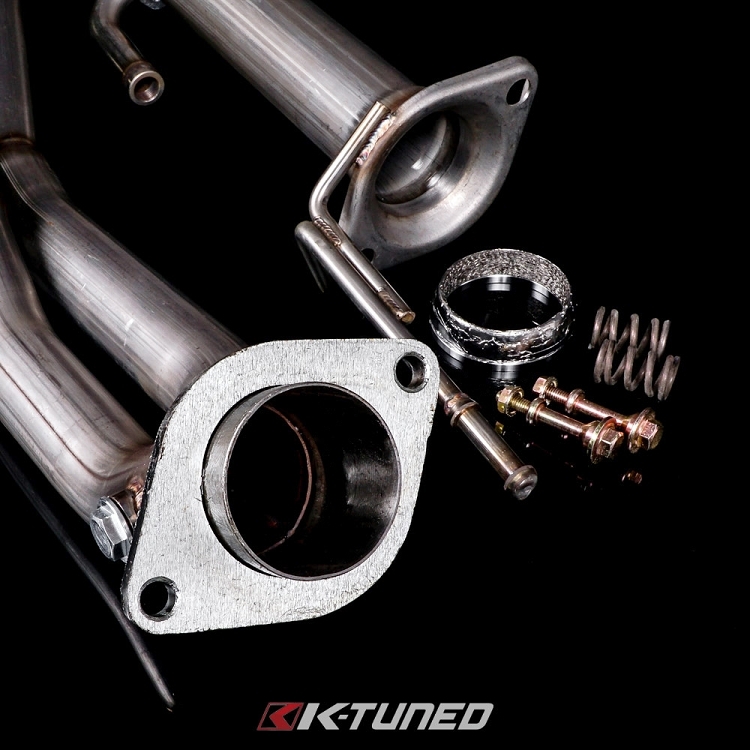 We also use a slightly thicker gauge tubing that allows for better weld penetration and additional strength. The CNC cut 3/8" thick flanges are also double welded and then ported for optimum flow at entry and exit. This header directly replaces the OEM 2 piece design and eliminates the catalytic converter so we included a short 2.5" test-pipe with defouler for the secondary O2 sensor. After evaluating the price driven exhaust parts market and seeing some of our products copied using very low quality, thin gauge Asian mystery material, we decided it was time to make a move. 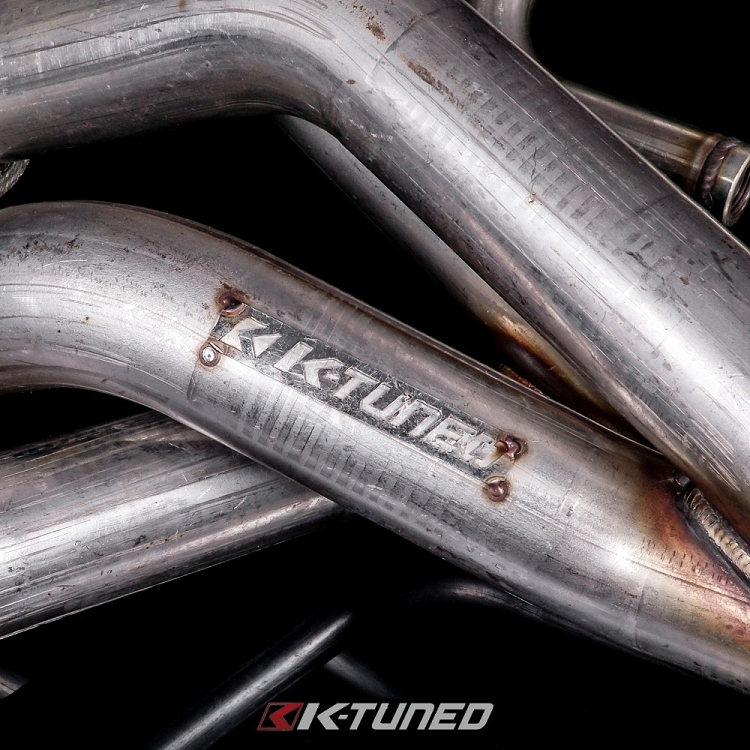 K-Tuned 409 Series Headers are made with raw 409 series steel which will offer customers a cost savings with no sacrifice to performance and fitment. We wanted to maintain a high level of quality because our stainless headers have had a good reputation for several years now. Our 409 Series Headers are exactly like our stainless steel headers, we only changed the material to save our customers a few dollars. The raw steel finish can be high heat coated or painted to resist rust or left as they are to let nature have its way. These headers are intended for use on simpler street cars that are more about function rather than looks and to be honest some hoods are only opened when needed. The exhaust parts market is filled with a lot of knock-offs, misinformation and deception. 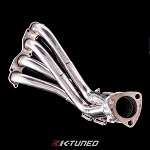 We aren't going to bring company names into this conversation, but some of these replica producing companies are currently selling exhaust products that are said to be X material when in fact the material is not even close to what they say it is. Not all the fault lies on the reseller because there is a lot of mystery material coming out of Asian manufacturing. What some advertise as 304 stainless has been found to actually be 200 series. Another cheat we have seen is cutting down the wall thickness of the piping to cut the cost. The problem with using a thinner gauge material is it weakens the product and can cause premature cracking. We have seen piping advertised as 16 gauge, end up measuring as 18 or even 20 in some cases.